Today I am sharing the last of our free fall printables since thanksgiving is just 2 days away!!! These fall printables are great to put in a frame or tape to a chalk board as I have done!! There are so many uses for them! If you are not hosting Thanksgiving this year and want to bring something else for the host besides a side dish or pie you could grab any 10 x 8 inch frame print either of these out and package it as a special little gift for your hostess this year! Who doesn’t love to give gifts? Especially when they cost pennies!? The first one is this super cute fall poem! I searched for hours until I found just the right poem for this fun playful design! this one matches exactly to the the other set of free fall printables that I shared last week and would look great paired with those. The second one is a little more comical for those who like to be a little sassy?! If you know me personally you know I definitely fit in the “sassy” category from time to time! 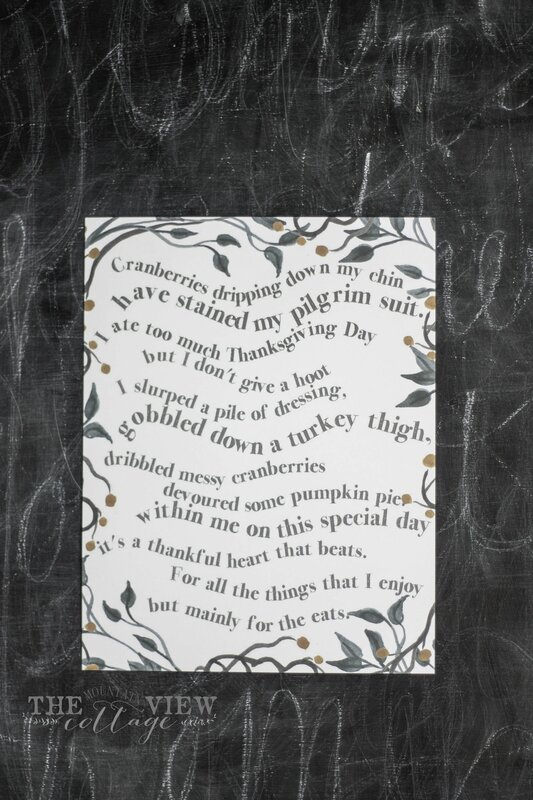 So when I came upon this cute little poem I knew it would make the perfect free fall printable!! It is designed similarly to the above printable with a fun whimsical feel! In other news who is ready for Turkey Day?!! I made the colossal rookie mistake last year and didn’t pull my turkey out of the freezer until the night?before thanksgiving to thaw….Thankfully it was a pretty little guy so it thawed out just in the nick of time!! This year you better believe my turkey has been sitting in the fridge since Sunday!!! I’ll be using The Pioneer Woman’s brine this year and I can’t wait to try it out! She has never failed me!! If you love these and choose to print them out! please share the love by pinning the below image to Pinterest!! I would appreciate that so very much!!! As always these are for personal use only and cannot be used for monetary gain. Thanks so much for stopping by our blog!! I’ll be sharing one of my favorite recipes in the next day or two!